Heat the oil in the pan to a relatively high temperature. 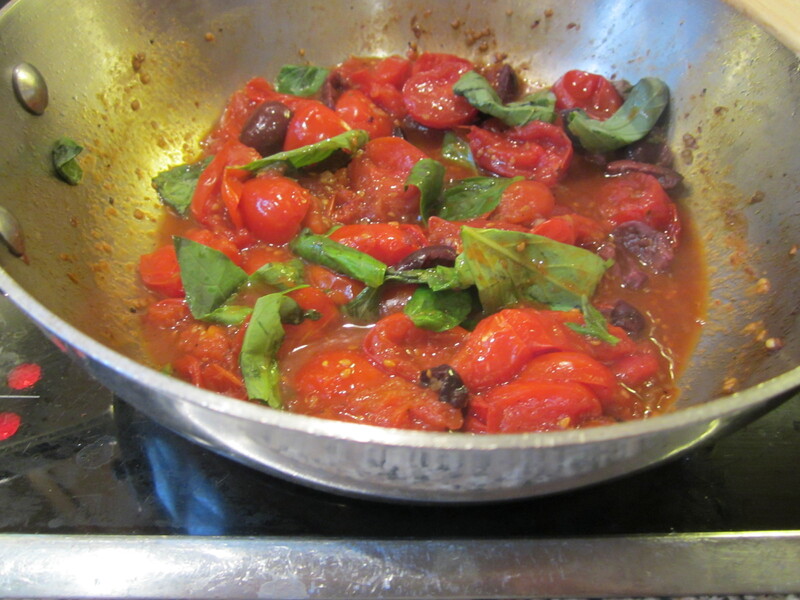 Add tomatoes, garlic and balsamic vinegar and cook over a high heat for about five minutes. Reduce the heat and add the olives and season well. Cover and simmer over a low heat for about 20 minutes. Remove the lid and cook for a further five minutes to reduce the juices a little. Remove from the heat altogether and add the bruised basil leaves, stir and leave to stand while you serve the pasta. Mix into the pasta (fusili are ideal here) and grate a little parmesan or other Italian hard cheese over the top. You can add a little more olive oil and seasoning if you like.